The Northampton second row will be out for four weeks with a calf injury. 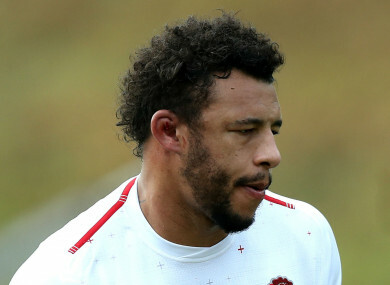 ENGLAND SECOND ROW Courtney Lawes will miss the rest of the Six Nations due to a calf strain. Lawes limped off late in a brutal 21-13 defeat to Wales at the Principality Stadium on Saturday. Northampton Saints yesterday said that Lawes will be sidelined for at least four weeks, ruling him out of the clashes with Italy and Scotland at Twickenham. Lawes turned 30 on the day of a loss in Cardiff which shattered England’s bid for a Grand Slam and will hope to return in time for Saints’ Challenge Cup quarter-final away to Clermont on 31 March. England expect Maro Itoje to be available before the Championship-closer against Scotland and Jones will be hoping for more positive news on wing Jonny May, who left the field in a daze after taking a blow to the head. Eddie Jones’ side are two points behind leaders Wales and one ahead of Ireland, who fought back to claim an unconvincing 26-16 win over Italy. Email “Six Nations over for England lock Lawes”. Feedback on “Six Nations over for England lock Lawes”.